It is the 124th anniversary of Montana's admission to the Union today. 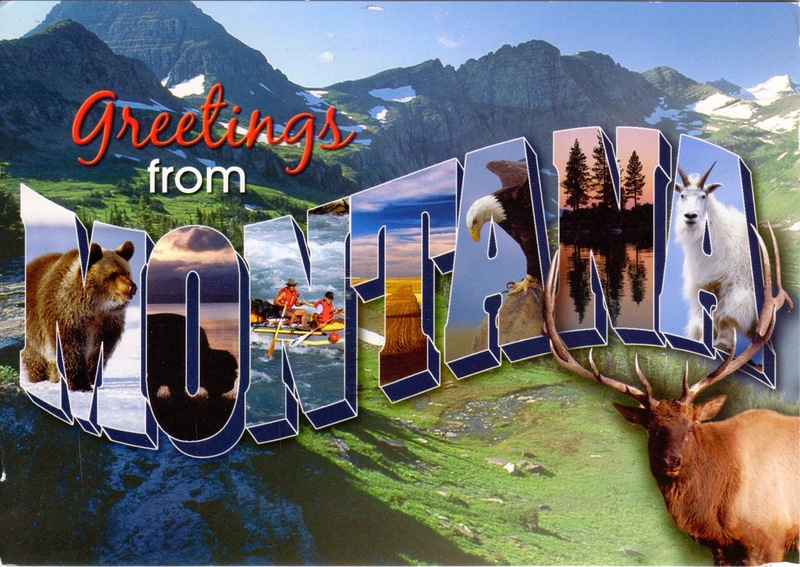 President Benjamin Harrison, 23rd President of the United States, proclaimed Montana the 41st State on November 8, 1889. Montana is ranked 4th in size, but 44th in population and 48th in population density among the all 50 states. It is the home to Glacier National Park and Yellowstone National Park. Postcard US-1758497 arrived in 2 days with greetings from Montana on July 8, 2012.